Television is one of the most common sources of home entertainments in our country. Even though the mobile connectivity had improved by leaps and bounds, there is a large swathe of people still relying on watching television programs as their favourite free time entertainment. In the late '80s and early '90s, televisions were exorbitantly priced and only a select few households had one. Owning a television was considered as a luxury back then. But then as the time went by, the technology became cheaper and televisions gained massive popularity among people no matter what their economic status was. At present, 66% of Indian homes own a television set according to the government data. This is a huge number considering the population of our country and the market still has a great potential to grow in the future. CRT televisions started it all, but slowly graduated to flat screen CRT and then to LCD and LED, and the trend nowadays is the digital convergence of a television set and smart connectivity features which is fondly known as smart TVs by the manufacturers. But in reality, are all televisions branded as smart, really smart? If not, what thing should you consider before buying one such product? Don't worry, we've got it covered with this article. We intend to provide you with a rough idea of how to make the most out of your purchase from buying a budget smart TV in the Indian market. 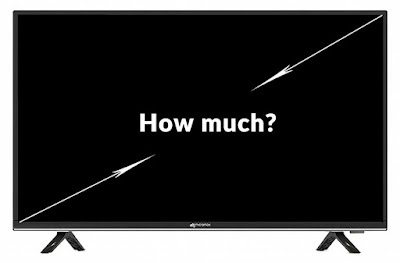 The term budget here refers to smart TVs around Rs.30,000 and less. Without wasting any time further, let's begin! The word smart is a misnomer which might make you confused. Smart TV's are not essentially smart the way you think they are. It's just a fancy name for the additional connectivity features which comes loaded with a traditional LED/LCD TV. 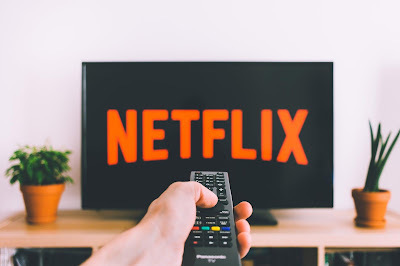 Smart TVs allow you to watch the traditional TV shows from a terrestrial broadcast, cable or even a dish along with internet connectivity options which can be used to stream online content directly on to the TV. Smart televisions also offer a variety of features such as multiple USB and HDMI inputs, Bluetooth connectivity and an easy to use user interface for handling the various functions. All smart TVs are not for everyone. The one which feels best for your friend might not fulfil your needs and vice versa. The usability of a smart TV is highly subjective and varies from person to person according to their usage scenarios. In this section, let's discuss a few factors which you should keep in mind before making up your mind about choosing a budget smart TV. Before venturing out to shell out some extra few bucks on a smart TV, let's cut the chase and ask you right away - do you need a smart TV? For eg., if you're an NRI and is planning to purchase a smart TV for your elder's back at home, most probably they wouldn't bother too much in accessing the smart features anyway. A normal large screen LED TV might suffice for such an audience. If that's not the case and you think that owning a smart TV is a necessity, great! We wholeheartedly accept your decision. Let's get on with a few technical aspects. Big is not always better. Yes, you've heard read it right. Always think twice before finalizing on how big you want your television to be - no matter smart or traditional TV it is. Installing a giant television in a small room and vice versa will adversely affect your viewing pleasure. As a general rule of thumb, if your couch is at a distance less than 150cm from the wall you are planning to mount the TV on, go for 32-inch and less. If you're about 200 cm from the wall, a TV-sized anywhere from 32 - 39 inches might suffice. If you have a sufficiently large room and the distance between the wall and the couch is about 250cm, you can have a 43-inch television for the best possible visual experience. Since we're discussing the budget smart TVs priced around Rs.30,000, at present, there are smart TV's ranging from 24-inches to 43 inches available in the market in this price segment. You can easily zero in on any of the above-mentioned TV sizes, provided you exactly know how big the room/office in which you're planning to install the TV. 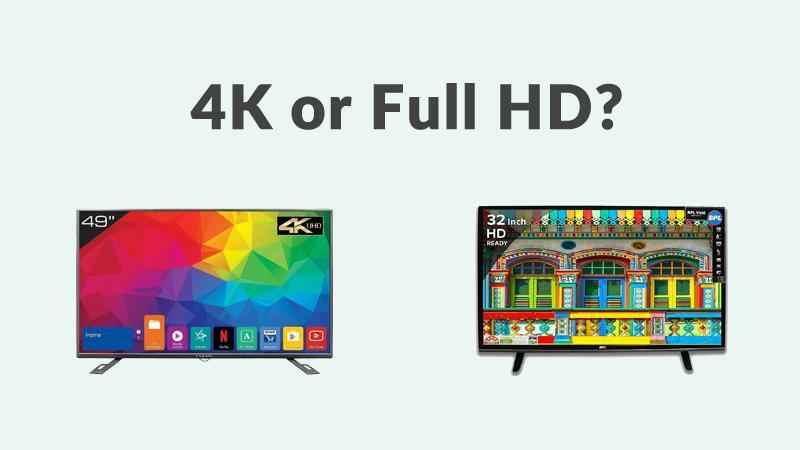 Budget Smart TVs comes with either of these two types of displays - LCD and LED. LCD stands for Liquid Crystal Displays and use an external light source placed behind the LCD panel to make the crystals visible. 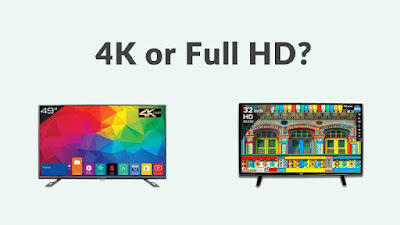 LCD displays are a kind of outdated technology and since you can avail smart LED TVs under a budget of Rs.30,000, it's a no-brainer to choose which one should you prefer over the other. LED displays, in reality, are LCD panels with LED backlighting and offer much better quality images and visuals when compared with pure LCD panel televisions. Display resolution is the measure of the number of pixels present on a display of a given size. A display with 1920 horizontal pixels and 1080 vertical pixels on the screen is termed as a full HD display and marked generally as 1920 x 1080 pixels. Furthermore, there is the HD display or HD-ready display with 1280 x 720 pixels and 4K display with 3840 x 2160 pixels available for television. More the number of pixels, better will be the sharpness and clarity of the visuals on the TV. Earlier, full HD displays were so much pricier for an average Indian consumer to afford, but with the advent of Chinese players in the market and cutthroat competition, the prices have significantly come down. Today, you can easily purchase a 4K smart TV for a budget under Rs.30,000, with four times the amount of pixels on a full HD television. We'd suggest you better avoid the HD or HD ready labelled smart TV as the full HD television broadcast is on full swing in India with more and more channels joining the bandwagon. Invest your hard earned money on at least a full HD TV will guarantee a future proof television viewing experience for sure. The screen refresh rate is the number of times the display changes per second. More the refresh rate, smoother will be the transition between the frames and visuals will appear more fluid. 60Hz is the standard refresh rate ( display updates 60 times per second) to expect for budget smart TVs. A solid operating system is one of the most basic traits which a smart TV must possess. Even if a TV has Wi-Fi, Bluetooth, a lot of connectivity options - without an OS, we can't really call the device smart. There are basically three implementations of an operating system present in a smart TV as of now. A rudimentary user interface with proprietary apps, just for the sake of advertising the product as smart. Those televisions with such a UI will have very limited functionality and you will have to suffice with the preloaded apps available on the TV. Then again, the quality of these apps may range from usable to completely disastrous depending upon the manufacturer. Established brands such as LG and Samsung have their own operating systems running on the televisions. LG has WebOS which has one of the slickest UI in the smart TV market and has a respectable number of apps including most commonly used ones such as Youtube and Netflix available out of the box. The WebOS app store also has a few titles for download as well. Samsung employs the Tizen OS on their smart TVs, which again is well supported by the company with updates and apps. These are televisions tested and certified by Google, running the stock Android TV based OS, complete with Play Store and other Google services baked in. With such TVs, you will have access to the millions of apps on the Play Store, the ability to sideload apps just like on your smartphones and much more. Purchasing a True android powered smart TV is the best from the lot, but there is no harm in selecting the Samsung and LG alternatives as well. For a price budget under Rs.30,000 companies like Vu and Xiaomi provides true Android OS running TVs in the Indian market. One important aspect most people forget about smart TVs are the hardware connectivity options. Software and the other technical jargons aside, having an adequate number of ports for connecting your external devices such as the set-top box, gaming console if you're an avid gamer and such has to be given utmost importance. Aim for smart TVs with at least 2 HDMI ports and 2 USB ports to ensure you won't have to frequently plug and unplug your external peripherals. There are smart TVs priced under Rs.20,000 with up to 3 HDMI and USB ports for your added convenience. USB ports let you hook up peripherals such as keyboard or mouse, and even media can be played out of these drives directly on to the TV. RJ45 ethernet port can be considered as a choice, as most of us are comfortable with Wi-Fi connections for our smart TVs and rather not add more wires to the mess. Proper audio port support will let you connect with the home theatre speakers for immersive sound output. Bluetooth connectivity will let you pair the TV with wireless earphones or headphones and enjoy the movies and shows in peace, without disturbing others as well. Most smart TV manufactures skimp of the audio department for reducing the overall cost of their products. Having excellent video output without proper audio support is as good as a switched off television. You must inquire about the availability of audio output ports before purchasing the smart TV for connecting external speakers. Most of the budget smart TVs do have audio out ports, but there is no harm in checking twice to make sure everything is well and clear, right? 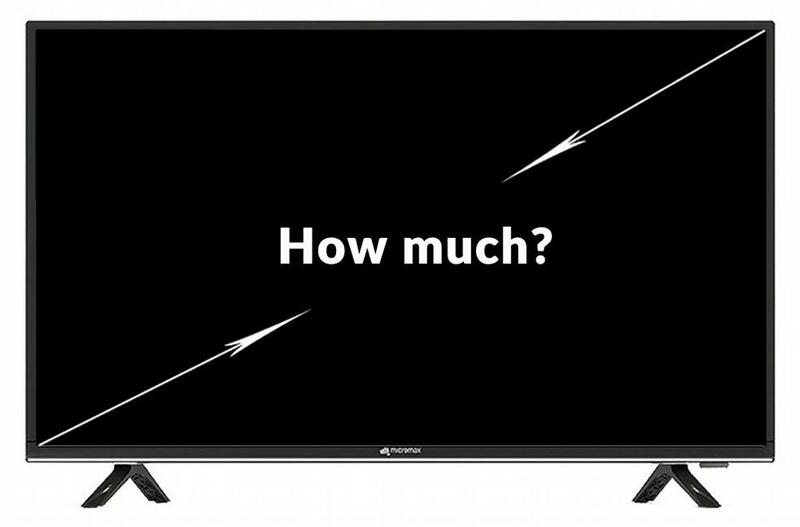 Look for the term A+ grade panel while purchasing a budget smart TV. A+ grade panels offer much precise colour reproduction than standard displays. Wall mounting is the most common method Indians prefer to use the TV. Check or inquire whether the TV comes with the mounting bracket and screw in the box itself. Aesthetic beauty will be a major concern for many buying a new television. Go to the nearby electronic store and try to see the device in person before making a decision. These are some of the major factors which decide how good or how bad a budget smart TV can be. We hope that this article has shed some insights helpful to make your smart TV purchase a much more rewarding experience. Last but not least, take your time researching and none other than yourselves can make a better decision on which product you need. We wish you all the best and have a great day. Thanks!